Our Facebook Prize Draw for Skyward Sword is going to be drawn on Thursday morning, with entries closing the midnight beforehand. In other words, there is only 26 hours left before entry to the competition closes. So if you want to enter for your chance to win be sure to “like” our page and then comment on the entry status. The chances of winning currently stand at 1 in 330. For the full details of the competition check out that link at the top of the post. Up until now a part of the competition was being able to find the entry status yourselves; however we’ve also linked to that status from every page on the site for the last week. So to the people who were struggling to find the status, all you needed to do was click the competition banner in the sidebar (up to the right there). If you still haven’t entered and want to for your chance to win a copy of Skyward Sword upon release, comment on the entry status (linked to above). 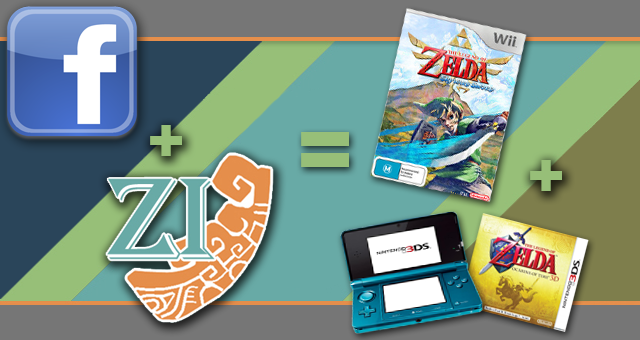 Remember that it doesn’t matter where you live because we will send you Skyward Sword in your regional version. Good luck to everyone who enters!